Sand Creek Bridge, Grant County. Built in 1919, this Parker pony truss bridge carries a rural road across sand creek in northwestern Grant County. This is an early state-standard design and is 85 feet in length. 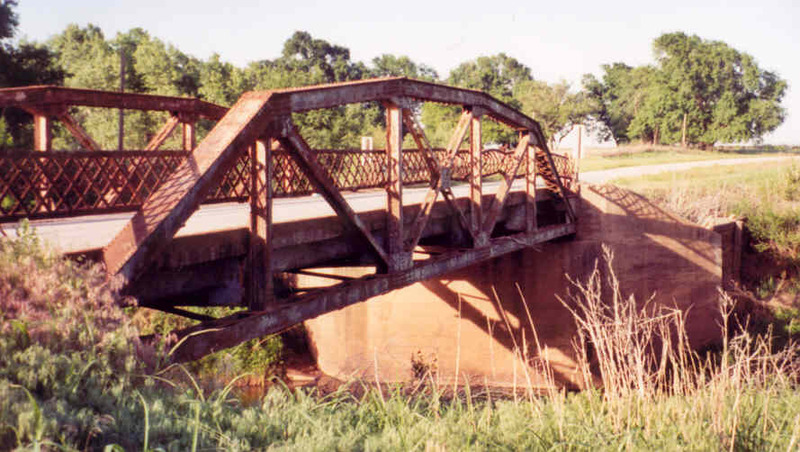 This bridge is located 6 miles west of Wakita, just off of OK 132.